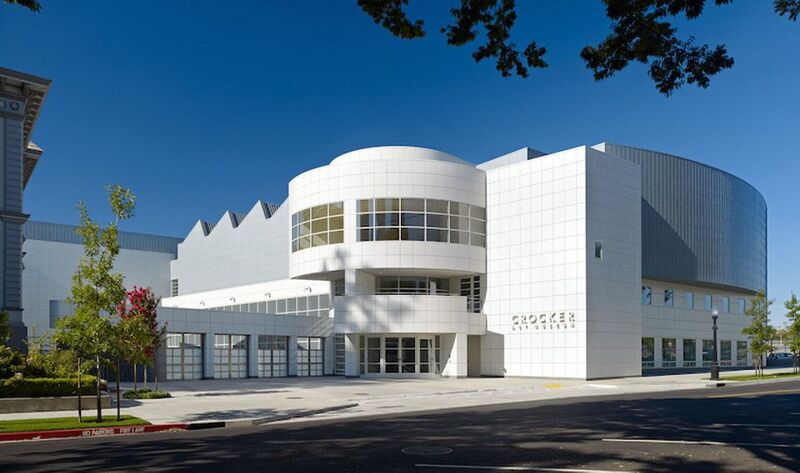 Chronic pain patients were given a private tour of the Crocker Art Museum in Sacramento, California. Photo: Bruce Damonte/Wikimedia Commons. Viewing works of art can have an analgesic effect on chronic pain and alleviate feelings of isolation for patients who suffer from it, according to a study by researchers at the University of California, Davis published in the journal Pain Medicine. The research, involving tours called Art Rx, found that 57 percent of chronic-pain patients who attended a private hour-long tour of the galleries of the Crocker Art Museum in Sacramento, California, reported a decrease in their pain levels up to three weeks after the tour. Most participants also generally reported feeling less socially disconnected, a common byproduct of chronic pain. The study addresses the “feasibility of a unique museum-based intervention targeting chronic pain, but also provokes reflection on the widely acknowledged but seldom addressed social dimension of pain”, the researchers write. “Faced with the dual public health crises of chronic pain and misuse of opioid analgesics,” they add, “it is essential that the social component of pain is both acknowledged and addressed”. Researchers argue that a museum-based programme like Art Rx, in which no health care professionals were involved, may be “less stigmatising and more normalising than [traditional] art therapy as it does not involve the explicit treatment or diagnosis of medical or mental health problems”. The article includes a description of the programme for interested doctors and museums.